Ewa Bathelier’s experience as a costume and set designer in the theater is clearly reflected in her signature acrylic paintings. Having spent her adult life in France, the artist focuses on one of the country’s most famous cultural exports—ballet, specifically ballet attire. 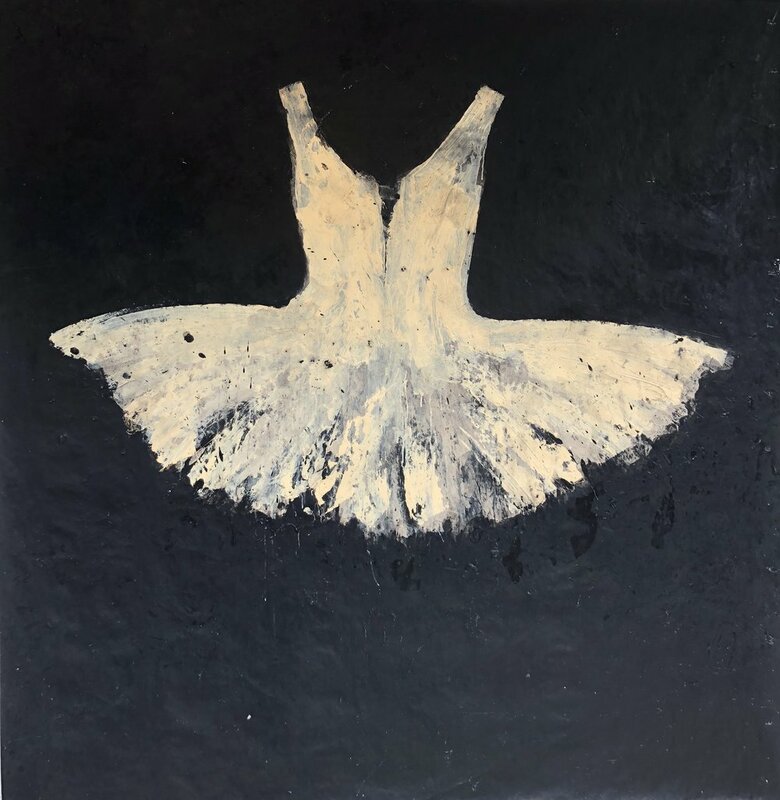 Light, free-floating, and symbolic, the primavera dresses, leotards, and tutus she depicts are thrown into relief by their monochrome backgrounds, though the garments conspicuously lack the bodies that are meant to inhabit them.